Education First’s new North American headquarters, which includes 261,727 square feet of general office, educational and restaurant space and a 64,700-square-foot, three-level above-grade parking garage, was recently awarded to SEI. The design and construction teams used BIM/VDC to collaborate on a number of innovations to improve quality, efficiency and schedule for both the core and shell and the fitout of the new construction. 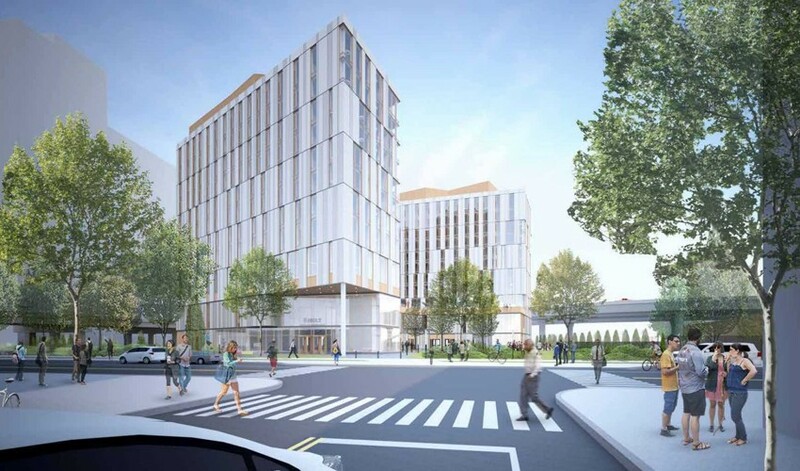 Sunrise will be teaming up with Skanska and Wilson Architects on a design-assist basis with the goal of bringing this design vision to fruition. SEI will have a scope of work that includes curtainwall, storefront, metal panels, and louvers.